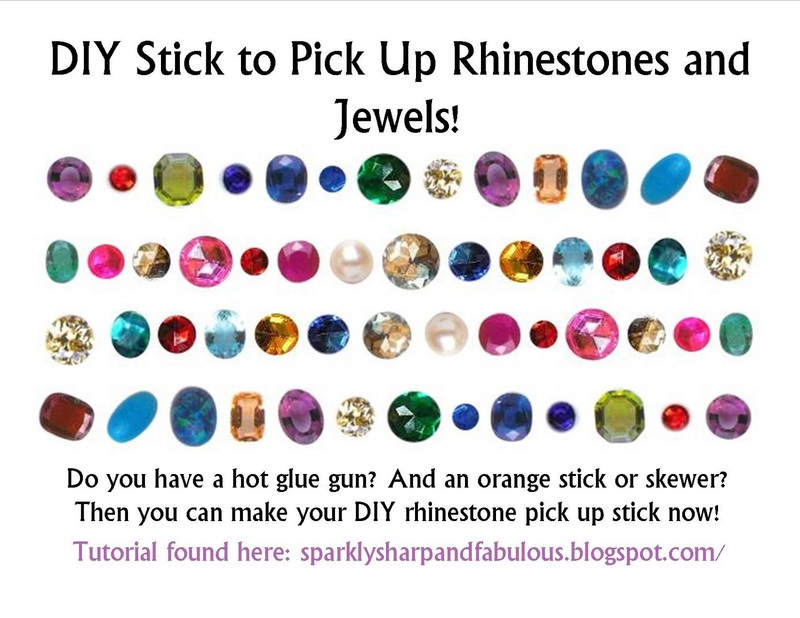 You are going to have a total “ah ha” moment after you read how incredible simple it is to make your own stick to pick up rhinestones with! I’ve found this method to be cheap and easy to do, and easy to make tacky again if you are working on a large volume project. H’ok. You will need a hot glue gun and a skewer (food kind works, nail art orange stick works too!). Yeah, that’s all you need! Step One: Heat your glue gun. 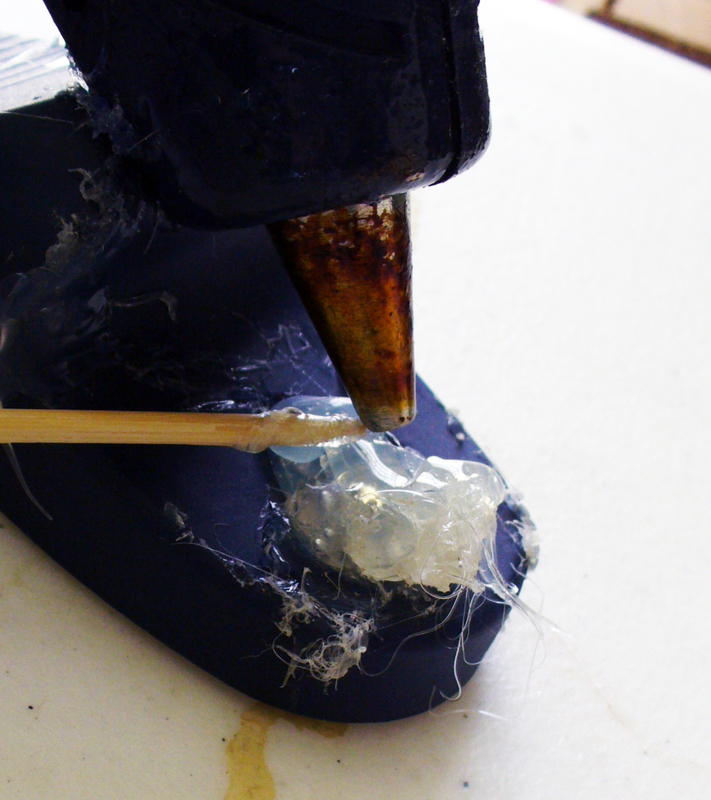 Step Two: Dunk either end of your skewer into glue, or apply small amount to the tip of your skewers. 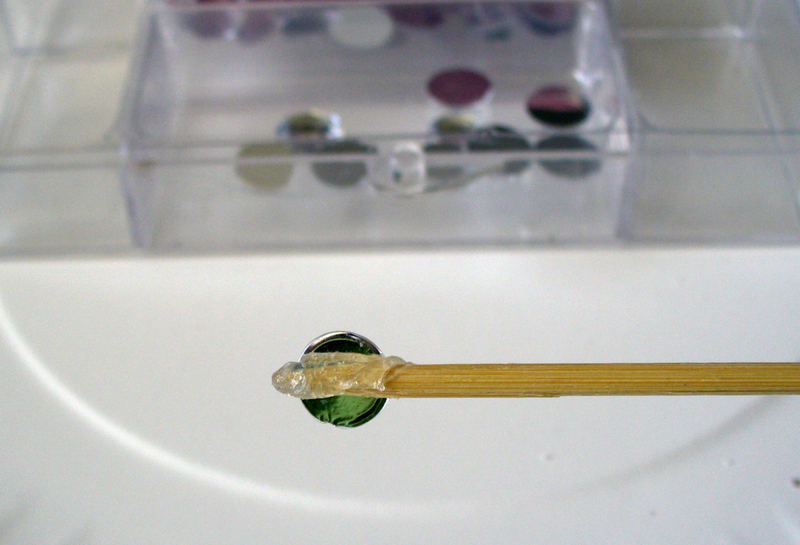 Twist and roll your stick to distribute the glue evenly or unevenly if you want (best for larger rhinestones). Step Three: Let dry and use! It should only take a few moments for the glue to cool as you are only putting a little drop on. You can set your skewer across a cup if you don’t want to hold it the whole time. If you need to make it tacky again (which you shouldn’t have to any time soon) repeat the same steps! Easy peasy! You will be able to pick up either end of the rhinestone with ease! 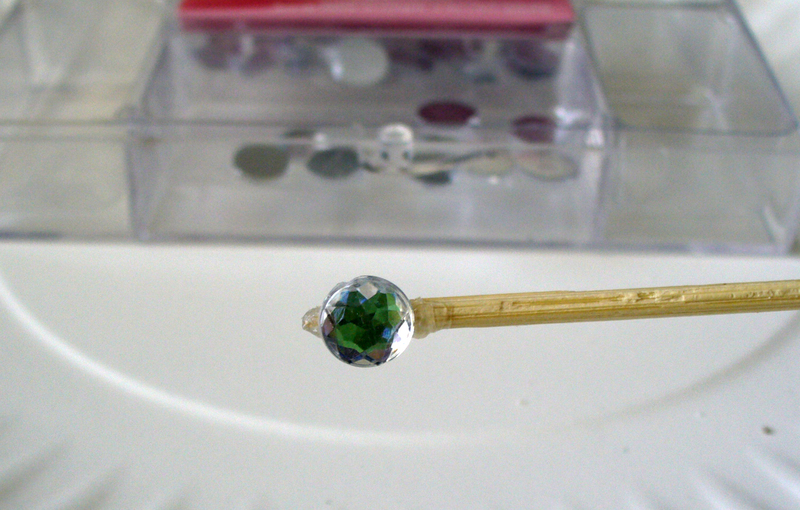 Plus, this method leaves no residue behind to blemish your rhinestones! Yay! Happy to help! How did they turn out?